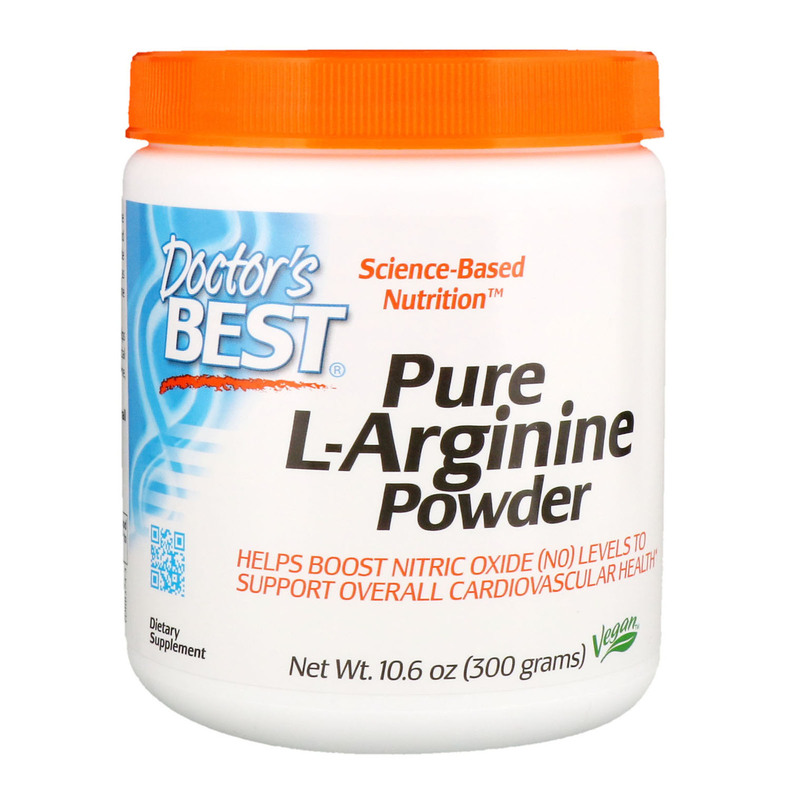 Doctor's Best L-Arginine supplies an amino acid vital in the synthesis of nitric oxide, which is an essential compound that helps blood circulation. Arginine-derived nitric oxide benefits wound heling and overall circulation, and has been shown to help increase mental acuity, immune function, and memory. Research suggest that L-Arginine supplementation helps increase muscle mass and may also positively be beneficial in improving endurance as it is a precursor to creatine, which helps supply energy to all cells of the body. 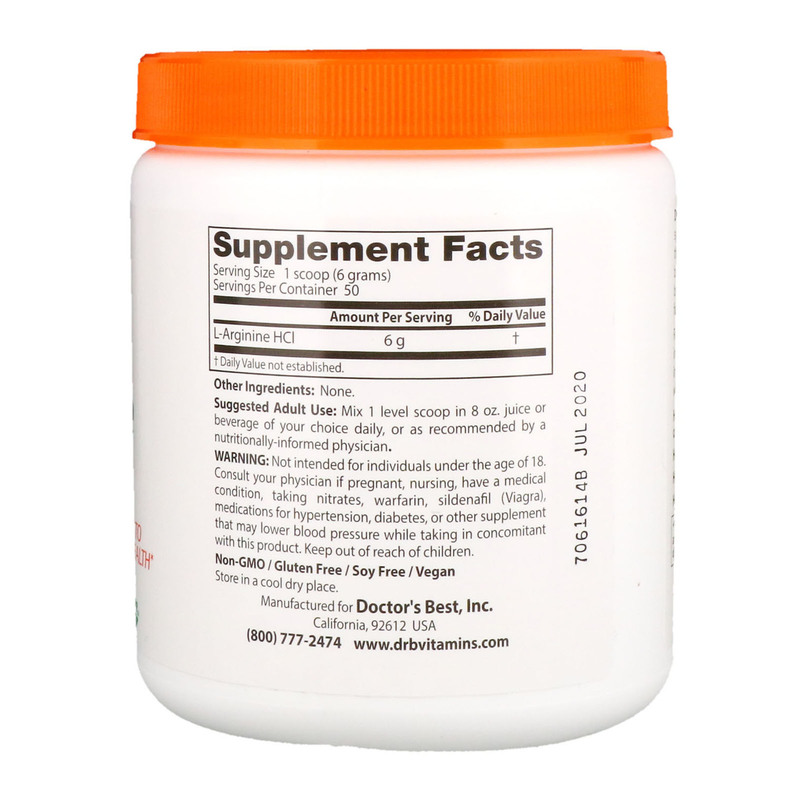 Helps boost nitric oxide (NO) levels to support overall cardiovascular health. Helps support recovery from athletic performance. Suggested Adult Use: Mix 1 level scoop in 8 oz. juice or beverage of your choice daily, or as recommended by a nutritionally-informed physician. Not intended for individuals under the age of 18. Consult your physician if pregnant, nursing, have a medical condition, taking nitrates, warfarin, sildenafil (Viagra), medications for hypertension, diabetes, or other supplement that may lower blood pressure while taking in concomitant with this product. Keep out of reach of children.